Luc Perrin is a professor at the University of Strasbourg 2 - Marc Bloch, where he teaches History of the Church. Perrin, widely known in Traditionalist circles in France, has written several works on the History of the pre-Conciliar and post-Conciliar trends in the Catholic Church, including on the so-called "Traditionalist Question", such as L'affaire Lefebvre (The Lefebvre Affair) and Paris à l'heure de Vatican II (Paris at the time of Vatican II). As a historian and as an observer of the Catholic Church in the past decades, do you believe that the motu proprio Summorum Pontificum has been relevant for the universal Church? Has its impact been what you expected when it was published one year ago? First of all, it is important to underline that this 2007 motu proprio can have a major impact only on the long term for various reasons. The vast majority of the clergy and the episcopate worldwide has been trained to see the Ordinary Form of the Roman rite as "the" Rite per se, a so-called "restoration" of a pretended Early Christian times liturgy and "the" liturgy promoted by The Council, the only council they know or want to know i.e. Vatican II. They have a sort of Berlin Wall in their mind that keeps them protected from any interference from the Liturgical Roman tradition. This mental wall is extremely thick and resistant. We can see how entranched the neo-liturgical lobbies are at every level (Roman Curia, episcopal committees, diocesan Curia, seminaries, parishes) with one example regarding the Ordinary Form. In most vernacular Masses (English, Italian etc. ), "pro multis" is abusively translated into "for all", instead of "for many". John Paul II, with "Liturgiam Authenticam" in 2001, specifically mentioned this abuse, to no effect. Five years later, cardinal Arinze, prefect of CDW [the Congregation for Divine Worship and the Discipline of the Sacraments], sent a letter to the bishops where the false translation is currently used asking them to make a "necessary catechesis" of the people within "one or two years" so the change finally comes true. One year passed, a second year is nearly over and guess what ... nothing happened. Thus the neo-liturgical establishment has been powerful enough to block the change of ... two words during 7 years. The "pro multis" movie is going to stay on the screen for a while : cardinal Arinze recently approved the new translation but for the USA only and he is giving a new ... delay to prepare the faithful that should have been prepared during the past two years. But without any specific date. So don't expect that in one year any substantial change of attitude regarding the Extraordinary Form could have taken place. Besides, some episcopal attitudes have made it clear from the start: the German, Swiss and Polish bishops took a stand of frontal opposition after the release of the document during Fall 2007. In France, episcopal opposition was very vocal before the motu proprio, especially in 2006, but the majority of French bishops adopted a more quiet attitude after July 2007. Wisely, the French Conference of bishops abstained to edit abusive guidelines like in Germany. In general, French bishops refrained to publish anything like open restrictions added to the provisions of Summorum Pontificum, like a few American or Italian bishops initially did. But a "containment policy" is implemented under the leadership of cardinal Vingt-Trois, archbishop of Paris, elected president of French bishops in 2007, especially for his subtle opposition to the pope's will to free the Traditional Latin Mass. The aim of this policy is to retain a 1984-1988 regime in spite of Summorum Pontificum: bishops want to stay those who allow or not the celebration of the Extraordinary Form, superseding the faculties granted by the pope to the parish pastors and chaplains. Only a minority of French bishops is really open to a generous implementation of the Motu proprio. Some facts are illustrating this containment policy: not a single personal parish (article 10) has been erected in France in a year; the 3 existing personal parishes were erected in 2005 and 2006. Not a single seminary has scheduled to systematically train the future priests in the celebration of the Extraordinary Form: in the best cases, like in Toulon under very benevolent Bishop Rey, the eventual volunteers are allowed to attend a training given by local traditionalist priests. One of the most hostile bishops, Archbishop Jordan of Rheims, granted a Mass but for two Sundays per month ... The reluctance to call for traditional Institutes is obvious, although it's not a general rule. In Paris, the cardinal-archbishop is refusing to negotiate a status for the Good Shepherd Institute which has a small conference center (Centre Saint-Paul) and traditional institutes have not a single diocesan apostolate. The contrast is striking with the former president of French bishops, cardinal Ricard, who has in his diocese of Bordeaux two FSSP chapels, one ICR-SP chapel and signed an agreement with the Good Shepherd for Saint-Éloi church in February 2007. So the increase of TLM locations is slow in France though it happens in spite of all these obstacles. According to some observers, around 40 new locations have been added to those existing under the Ecclesia Dei canonical provisions. The situation is similar in most European countries, except maybe in Italy where apart from a very hostile lobby, several bishops look at the Motu proprio with an open eye, like Archbishop Bagnasco their president. I have not heard, so far, of a great echo either in Latin America (except for Brazil) or Africa and that was utterly predictable. On the contrary, as for the Ecclesia Dei motu proprio of John Paul II, implementation in the USA and Canada is much more encouraging both from the bishops and clergy. If we remember the hostile position of cardinal Lehmann (Germany), the negative attitude expressed by cardinal Murphy O'Connor (England), the containment policy of cardinal Vingt-Trois, it is amazing to see the benevolent policy of cardinal George, president of USCCB. In his diocese of Chicago (USA), he blessed the Canons of Saint John Cantius (who are celebrating with both Forms) and then invited the Institute of Christ the King (TLM only); the Liturgical Institute founded by the Cardinal is adding a mandatory course on the Extraordinary Form in its program and sessions of training have been organized for volunteers to learn how to celebrate with the Canons and in presence of Bishop Perry, the African American auxiliary Bishop of Chicago, who is known for his attachment to Liturgical tradition. In short, Summorum Pontificum's practical implementation is a replica of Ecclesia Dei's expansion and limits. So far, PCED [the Pontifical Commission 'Ecclesia Dei'] has not used its new authority - articles 7,8 and 12 -, just like the Pontifical Commission was not enforcing the provisions of the previous Motu proprio. We have also to remind that it's not easy, even with a welcoming parish pastor and bishop, for a group of lay people to be constituted in countries like France, where Catholicism is in sharp decline. Moreover, the TLM is very demanding in energy, financial contribution and time for lay people. n many aspects, the "active participation" of lay people in the Extraordinary Form Mass communities is superior to what it is in the standard Novus Ordo parish. You need more than one year to build a community. However we should consider two facts that need time to be fully received by the Church. 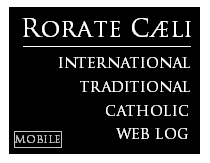 First fact: the status of the traditional Roman rite (Extraordinary Form) has been firmly settled as never before. On the very long term, it could help to influence the liturgical studies and consequently the teaching in seminaries and Faculties (see the examples of Mundelein and Kenrick-Glennon seminaries for Chicago and Saint-Louis which are magnets for vocations). The second fact is nearly impossible to evaluate: how many priests, especially young priests in Europe and Northern America, will have a spiritual benefit from article 2? It could be very interesting to have an inquiry to know the impact of the private celebration in the Extraordinary Form among priests. I have constantly drawn attention to the structure of the motu proprio: the extension of the celebration in the parishes comes with article 5 but the right to celebrate privately for priests comes with article 2, i.e. the clergy is the main target of the document. Those who deeply refuse any move in the liturgical field toward Tradition are betting on the 3 year delay mentioned by the pope in his letter to the bishops. They are perfectly aware that Summorum Pontificum requests years and years, decades, to have a serious impact and bears its fruit so the "containment policy": in 2010, they will pretend the motu proprio is a failure and ask it to be rescinded. 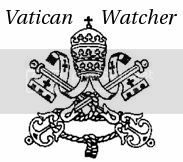 What are the similarities and the differences in the attitude of the FSSPX and the Holy See in the negotiations of May-June 1988 and of June-July 2008? Let us recall the whole process was in three, not two steps: the negotiations of 1988, the second attempt in 2000-2002 that ended with a declaration of Bishop Fellay saying the talks were stalled then the new talks that started after the August 2005 short encounter between pope Benedict XVI and Bishop Fellay. We can find some similarities between the 1978 election of John Paul II, who chose to meet Archbishop Lefebvre very quickly after his election and the election of Benedict XVI. But the situations are very different: there was probably still a serious chance to reach a sound canonical agreement in 1988, although it was already difficult at that time like the events of May 5 and 6, 1988 showed. Fr. Tissier de Mallerais was then a member of the SSPX delegation and was urging the Archbishop to sign; today he is the most vindictive among the four bishops of the Society. He expressed, several times in 2007-2008, a true wrath against pope Benedict XVI, saying that the "horror" of the pope's theology is letting him "speechless", if we can say so for a bishop who has gone very vocal these days. He is now raising the threat of new episcopal consecrations. In 2000, cardinal Castrillon Hoyos tried to reopen this canonical path: clearly the reluctance was strong on the SSPX side but Bishop Fellay was positively impressed by the open hand of the Holy See. Just like the pope was positively impressed by the decision of the SSPX to participate to the Great Jubilee, in the dioceses and with a big pilgrimage in Rome. But a few months later, Bishop Fellay put the ball in the Roman side with the two prerequisite questions: freedom for the TLM, the excommunications to be lifted. It was a subtle way not to say "yes", without clearly saying "no". This was the beginning of the "in between" policy chosen by Bishop Fellay in order to restore a sense of Romanity within the SSPX: with years passing by, most Society priests have got only a vague idea of what a "pope" and "Rome" are. So when Bishop Tissier de Mallerais is saying, "In Rome, a new Pope? Really, if he would become worse, there is no need" (The Angelus magazine, interview, July 2008) -, he is probably the voice of many young SSPX priests. Pope Benedict XVI is well aware of this feeling and he mentioned the danger of a prolonged schismatic attitude in his 2007 letter to the bishops sent with the Motu proprio and his intent to fight it : "one has the impression that omissions on the part of the Church have had their share of blame for the fact that these divisions were able to harden". His election in 2005 allowed a renewal of the talks with Menzingen but, in spite of the Motu proprio or because of it, this phase inaugurated 8 years ago may come to an end. Regularly, when the SSPX is getting closer to a reconciliation, the leadership breaks up and a period of "cold war" against Rome begins. For example, from 1988 to 2000, there were very few contacts, if any, between Menzingen and Rome. The lack of permanent structures for a negotiation between the Society and the Holy See is most likely one major reason for the regular failure of the talks. It is impossible to work seriously on complex doctrinal matters when you meet briefly at irregular moments. What do you believe that the future holds for the Fraternity of Saint Pius X? Is there any hope of reconciliation if not in the Benedictine Pontificate? The bishops of the Society are now saying that "a certain discouragement is coming back" (Bishop Fellay), to quote the most polite statement. Both Bishop Fellay and Bishop Tissier de Mallerais are openly talking of a 30 year delay, and the latter is even excluding frankly any "reconciliation"; Bp Tissier de Mallerais is using words so offensive that he is coming very close to Sedevacantism, though he still refrains to say so. It's easy to see why there is, to quote Bishop Tissier de Mallerais, "a hardening of the hearts, a blindness of the minds". Pope Benedict XVI is strengthening the efforts made by his predecessor to interpret Vatican II "in the light of Tradition", which is exactly what Archbishop Lefebvre was requesting in 1978, after his meeting with the Polish pope. The thorny question of the traditional Roman Missal was, during a long time, an obstacle but with Summorum Pontificum, this obstacle is de jure - as Bishop Fellay acknowledged in the July issue of The Angelus - removed; there are still many problems to make it real within Church life and parishes, but the legitimate status of the 1962 missal, the Extraordinary Form of the Roman rite, is now established. So we are left to face all the other thorny questions as listed by Bishop Tissier de Mallerais: religious liberty, ecumenism, Christian spirit of sacrifice, social kingship of Christ; curiously, the problems raised by inter-faith dialogue is not cited. But to be able to work with Roman theologians on these crucial issues, the SSPX would need some qualified experts and to be able to evaluate the achievements of the Church in the past decades with something more accurate than "John Paul II did nothing to rebuild the Faith" or, speaking of Ecclesia Dei communities, "These poor people (priests, religious, lay people) are liberals and pragmatics" (Bishop Tissier de Mallerais). These conditions are hardly met by the Society today. Bishop Fellay spoke recently of a "road map" to guide the relationship between Rome and Menzingen and this was an excellent idea, keeping open the eventuality of a reconciliation but as a distant goal and with several steps ... in between. Cardinal Castrillon Hoyos' five conditions of June 2008 were a way to request from Bishop Fellay to make a first move, at least a symbolical one. The June-July 2008 decisions are apparently - the response of Bishop Fellay to the Cardinal has not been published, only an official statement by Fr. Lorans - to store the "road map" in a drawer. When is Bishop Fellay or his successor going to reopen the drawer and give a serious attention to the road map? Will the papal visit to France in September be a providential occasion to do so? What would be the next step if the excommunications are to be lifted ? Providence will tell us. Maybe a Week of Prayer for ... Catholic Unity could help. "But to be able to work with Roman theologians on these crucial issues, the SSPX would need some qualified experts and to be able to evaluate the achievements of the Church in the past decades with something more accurate than "John Paul II did nothing to rebuild the Faith""
Well as one who attended the NO during his pontificate, I would agree he did nothing to rebuild the Faith, and much to undermine it. Does that make me a sede? Or a Lebfevrite? I find it impossible that Pope Benedict will lift the excommunications. From the simple fact that, once the excommunications are lifted, what incentive is there for reconciliation? The SSPX leadership could drag this out forever without any concern about being called "excommunicated." The only incentive for them to reconcile is simply to remove the "excommunicated" label from their bishops. Once those odious labels are gone (schismatic as well for the bishops), what else is there? First, I want to thank you for this high-level intelligence from one of the top academics in the field, who is neither blind to sinister machinations of the Tridentine-hating bishops, nor a partisan of the SSPX. I hope he will continue to study and analyze this crisis...Whether or not there is some success with the Motu Proprio in America under Cardinal George, many of the US bishops are as hostile as the French. The example of the people of Las Cruces, New Mexico, many hundreds of whom are said to have petitioned the local bishop for the old Mass to none effect, is but one case in point. Pope Benedict did not issue an unambiguous Quo Primum in the style of Pius V. The three year limit is disastrous because it gives hope to enemies of the old Mass to burrow deeper and leads to suspicion on the Right that the whole thing is a Vatican ruse. Let's take into account the trad. laity's view that ever since 1969 the Vatican has represented a usurping "robber church" that stole away the Mass as the Roman Catholic-hating Cranmer did under England's Edward VI. Trust cannot be restored with a patchwork, and Benedict's Motu, with its qualifications concerning "stable communities" is just the loophole the bishops need to obstruct it. I also disagree with the ideas that the status of the old Mass has been now permanently affirmed. On the contrary, it is still fragile and disputed. In two more years it could again be derogated. Having said that, permit me to add that the reaction of the SSPX has been horrifying. Jansenism is very much present in the SSPX: they are pure as angels and proud as devils. Bp. Williamson scolded the Transalpine Redemptorists for reconciling with Rome. "They will only contract Rome's leprosy," was his response, and here he betrays himself, for Our Lord went among the lepers! Bp. Williamson is still a Puritan/Anglican; he has their separatism and fear of "contamination." This is the hallmark of the SSPX and it is thoroughly Protestant. Finally, look at their hypocrisy with regard to religious liberty. They oppose it for progressives but use it for their own ends. On what other basis do they oppose the orders of the pope than their own private judgment and yes, religious liberty? What a mess! --Pat R.
An excellent interview with subjects aplenty for thoughtful consideration. The whole concept of excommunication of traditionalist bishops at SSPX pales to insignificance when we witness on a weekly basis NO bishops who openly, and others more subtly flout their "collegial" authority to foment what is tantamount to rebellion against the holy father and to the magisterium of the church. In UK this situation is clearly so among several modernist bishops. Some of these de facto schismatics continue as though their disobedience were laudable in some curious manner. A touch of real fairness in this matter would be welcome. I would both agree and disagree with you on various points regarding John Paul II's reign. However, I think the observation on the society's continued reliance on blanket statements like that quoted is a good one. If the SSPX has spent so many decades working and working and it /still/ thinks Rome is not moving in a positive direction, perhaps a bit more tact would be useful? HAS ACCOMPLISHED SO MUCH FOR THE CHURCH. REALISTICALLY, I DOUBT THAT THERE WOULD BR ANY TRADITIONAL MASSES AVAILABLE WERE IT NOT FOR THE SSPX. OLD TEACHING THAT THE CATHOLIC CHURCH IS THE ONE TRUE CHURCH ESTABLISHED BY CHRIST OUTSIDE OF WHICH THERE IS NO SALVATION. AS I HAVE BEFORE THESE ARE IN MY OPINION QUAESTIONES DISPUTATAE CONCERNING WHICH REASONABLE MEN MAY DIFFER. IN SHORT IF THE SSPX WISHES TO PROPOGATE TRADITIONAL TEAFCHING IN THESE AREAS, IT SHOULD BE ALLOWED TO. I DO NOT BELIEVE THERE IS ANY DEFINITIVE CHURCH TEACHING IN THIS AREA EXCEPT THAT THE CONCEPT THAT ONE RELIGION IS AS GOOD AS ANOTHER HAS CONSTANTLY BEEN CONDEMNED. Anonymous: I'm not sure how attending Mass during John Paul's pontificate gives you the epistemic authority to claim John Paul did "nothing to rebuild the faith"? But perhaps you realize such claims are ridiculous, and thus sign with the creative and courageous "anonymous." Jonh Paul II played an enormous role in promoting Eucaristic devotion, Divine Mercy, the Rosary, the Sanctity of life and the holiness of the priesthood. How can anyone say that these examples have not touched many many souls and thus helped to rebuild the Faith? If Mr. Perrin wants something 'more' than "John Paul did nothing to rebuild the faith," then he can look beyond the brief interview of Bp. Tissier de Mallerias and study what archbishop Lefebvre has to say on the matter. But then, Mr. Perrin is already fully aware of the archbishop's stand on this and the other issues. In another article on this blog, Mr. Perrin refers to John Paul ll as John Paul the Great. Devotees of this Pope have difficulty in being objective. It's interesting that Mr. Perrin says that the SSPX would need qualified theologians (does he mean theologians in Rome? Is he kidding?) to be able to evaluate the achievements of the Church in the past decades. Of what 'achievements' is he referring to, as occurring in the past decades? And what do the 'achievements' have to do with the issues at hand? And who would these experts be, who would be so qualified to instruct the SSPX? The SSPX bishops have many years of seminary training based on St. Thomas Aquinas; they are well-versed in the unchangeable and timeless doctrines of the Church. Who knows, perhaps there are theologians in Rome who uphold the doctrines of the Church without compromising with the liberalism of Vll. What would Pope Pius X have to say on this matter? As long as the modernist break with tradition is called "continuum," there is no reconciliation likely or possible humanly speaking. Nothing is impossible for Divine Providence. Why? Because Divine Providence has already revealed that the road to Life is through the Cross, and aggiornamento, or compromise with the world is an evil distraction, and insisting on it brings on God's punishment, affirmed by Mary at Fatima. Conversion, penance is the only way to Christ and unity. Therefore, the leaders will see that the SSPX is not the problem as Bishop Fellay said, so: more prayer, more sacrifice are needed by us. Fr. Stephen, o.f.m. This is an excellent assessment by M. Perrin, with whom I have had many exchanges at ctngreg in the past. I respect his judgement very much. I agree with every word of his statement except his inclusion of my own country, Canada, with the U.S.A.; in fact, the Canadian bishops have obstructed S.P. and are much more like those of France. Since S.P. was published, America has gained 30 dioceses having the T.L.M. every Sunday; Canada, only one. France has gained seven but lost one (Limoges). I stronly advise bloggers to read M. Perrin's comments carefully. His is a very accurate and penetrating analysis. I would add that I think that the Pope will make the next move and lift the declarations of excommunication, perhaps on 3rd September, the Feast of St. Pius X. The Pope needed at least the *appearance* of a 'quid pro quo' from Bishop Fellay in order to justify a lifting of penalties. Bishop Fellay's letter to him presumably enables that appearance. I agree with M. Perrin that the Society will not accept regularisation until all the doctrinal matters have been resolved, and that this will likely take decades. Thirty years is a reasonable figure, as M. Perrin says Bishop Tissier de Mallerais would have it. The Pope knows this too. That's why he might declare officially that Society Masses fulfil the obligation to assist at Mass. The unofficial and uncompetent finding of the P.C.E.D. in this regard was, I think, preparation for a papal declaration on the matter, which could come with a lifting of the penalties. The Pope could simply use his immediate authority to make Society Masses licit, but without given the Society canonical standing. This would entail an exception to or overriding of Canon 265. In response to Greg Hessel's insightful comment, I would say that he should consider the impact of S.P. on the S.S.P.X. Recently, I did an in-depth analysis of the numbers in regard to Society versus regularised Masss, growth in regularied Masses since S.P. was published, and so forth. What I have found is that, in most countries, regularised Masses are now eclipsing Society Masses (by a factor of 3:1 in the U.S.A.); and, no matter what Bishop Fellay may say publicly, Society Masses are now increasing at a glacial rate. For the first time as long as I can remember, for instance, the Society seminary in the U.S.A. did not have a single graduate this year. It's simple. If faithful can have the old Mass with the Pope's blessing or without it, they would much rather have that blessing. Even if the Pope lifted the penalites and extended his direct jurisdiction to Society Masses, most people would still regard them as risky and prefer to attend regularised Masses. Keep in mind that, in just one year, THIRTY U.S. dioceses have gained an every-Sunday regularised Mass! That is a greater increase than the previous twelve years combined! There are now only four U.S. dioceses left (out of 176 Latin sees) which have a Society Mass every Sunday but no regularised T.L.M.s every Sunday. These are Las Vegas, Winona, Jefferson City, and Crookston. I have reason to believe that two of these four will soon get regularised Masses. Today, the Society is still predominant in France, Germany, and Argentina, and still has a foothold in some places which have no regularised Masses (especially South Africa and India). In Germany, regularised Masses are spreading at a phenomenal rate under S.P. (from 9 to 22 dioceses out of 27 in just one year). Soon, official Masses will overtake Society Masses in Germany. The Pope has a good reason to extend his authority to Society Masses: it is a way to overpower those local bishops who have obstructed S.P. If the local bishops can't stop a Society Mass from coming to his town, he may be forced to implement S.P. to keep the Society out. This Pope thinks like a fox. In the past, it was not possible to 'approve' the Society or its Masses without risking a counter-revolution which would embarrass the local bishops and the Pope. Those days are over. The Society is no longer in a position to assure such a counter-revolution (or, it would say, it has already achieved it through S.P.!). We have turned a corner and the Society has become a help to the Pope rather than a threat. Thank you for your report on Las Cruces. I watch the dioceses like a hawk and very much appreciate feedback from that particular place. I note that, some years ago, Bishop Ramirez said publicly that he would allow the old Mass "over my dead body". That was a direct quotation. He is one of the most dogged opponents of S.P. Certain bishops are emerging as enemies of S.P. They include Ramirez in Las Cruces, Conry in Arundel and Brigton, and Jordan in Rheims. Rheims is the centre of the far-left spiritual desert of north-east France, the part of France most hostile to tradition. I have a map of leading countries, with dioceses coloured in when they get the T.L.M. every Sunday. You should see the map for France! Most of the country is coloured in but there is this huge uncoloured hole in the north-east, centred on Rheims [Reims]. It includes the Dioceses of Soissons, Cambrai, Metz, Châlons, Langres, and Verdun. It used to include Nancy et Toul but the Bishop there caved in shortly before S.P. was published (no doubt seeing the writing on the wall!). The Bishop of Troyes caved in after publication of S.P., so we are making progress even there. But VEEEEERY slowly. The nice thing about the U.S.A. and England is that opponents of S.P., such as Ramirez and Conry and that miscreant in the the Diocese of Alexandria, Louisiana, are isolated. They don't form a region as they do in France. As for Canada, it is HOPELESS. Only my own Diocese of Victoria has had the old Mass restored since S.P. was published, although there is other progress. There is little progress to report for Australia either but very much for New Zealand and new impressive growth in the Philippines. It differs from country to country. Actually Cranmer and Archbishop Bugnini did not have a similar blueprint in mind for the Mass. That the Novus Ordo looks extraordinarily like "Cranmers Godly Order" is complete coincidence. Does Rome know SSPX ? Does SSPX know the New Order Church? The Bishop's review was devastating. with the French scholar above, it makes it clear for me why the Bishop today is so set in his discouragement of Papa Ratzinger. I wonder how many Catholics ever bothered to read this critical work of the famous Theologian R.
But in all fairness, the book is dated and Papa Ratzinger changed much of his position and overall stand, despite his claim otherwise. Who today in the new order Church knows that he was a liberal? in the novus ordo universe. One previous commentor above believes that JPII strengthened the Faith. This is recognized by many in the novus ordo side, but because from the divide everything is to the LEFT, no movement on that other side, unless crossing the line, will appear, or is being registered. I argued in defense of JPII for saving the Church from anarchy by clinging to the Council, to no avail to convince the SSPX listener. Since them I learned how much evil the Council put up with, ergo, is responsible for not protecting the Faith and the faithful from, ergo, the council can hardly be argued for the SSPX to see that it was not 100% black. I still have a hard time with those few neurotic hiding under the SSPX, I believe closet Sedevacantists, who adamently call the Novus Ordo Mass a sacrilege without the slightest sense of scruple. favorable to the Church" --- words of Cardinal Ratzinger! WHERE can I find your survey of the TLM worldwide? By the way, I gave you credit for information about the Philippines. I found a posting of yours somewhere on-line. Only when the Pope celebrates the Traditional Mass in St Peters for all to see will there be a reconcilaition within the heart of the church. I seriously doubt that if the pope was suddenly celebrating exclusively TLM, this would change anything for Bp Tissier de Mallerais. He gives a list of doctrinal questions like religious freedom etc. Bp Williamson is also stressing "doctrine, doctrine, doctrine", and Bp Fellay, with more diplomatic words, is saying just the same. You need to read their interviews in The Angelus, July 2008. "I still have a hard time with those few neurotic hiding under the SSPX, I believe closet Sedevacantists, who adamently call the Novus Ordo Mass a sacrilege without the slightest sense of scruple. " I am not a member of the SSPX, nor a sede, nor a neurotic, but I do hold that objectively the NO is intrinsically evil, because any ritual which directs the priest and people to act in an irreverent or less than reverent manner, whether practically or in principal or in ethos, distorts authentic Catholic prayer, since Christ Himself was heard because of His reverence, as St. Paul infallible teaches. Ergo, if we insist, or if a pope insists that we don't have to emphasize reverence in our rituals, we are being presumptuous, proud, and any such ritual which advances irreverence, either formally or by not preventing it (e.g. without rubrics to promote it, or rubrics to prevent irreverence) is intrinsically disordered and lacking in what it ought to have, to assimilate the believer to the Redeemer in His prayers of reverence to the Father. This is sound, sane Catholic theology. Well I am not SSPX member nor a sede, and I hold that the NO is intrinsically lacking in what is required for a Catholic Ritual, inasmuch it is in some things irreverent, in some principles irreverent, in some things not reverent, in other things does not prevent irreverence: the presence of things reverential to God andt he Saints, and the preventiatives to guarentee these, are all necessary to assimilate the believer to Christ, who was, according to the infallible Saint Paul, "heard because He was reverent". Who are we to insist that we can be irreverent or not reverent and yet be heard by the Father? St. Francis is quoted to have said: I wish to be reverent to all...shall we not at least be reverent to God during the liturgy? For this reason I believe SC and the NO are hateful to the Eternal Father, because they do not emphasize reverence and the other theological principles which are conducive to this, but turn the focus towards man, who is not the first nor last principle or goal of the liturgy. Mr. Perkins, you may want to add Guadalajara, Mexico to your list of weekly (actually daily) TLM since Cardinal Juan Sandoval has given the FSSP a church (starting in september) where all the sacraments will be celebrated acording to the extraordinary form. This will be the first Traditional Order established with episcopal aproval in our country. The church is very well located and thus the traditional faithful in our city is most grateful to the Cardinal for the good will and eagerness to respond to our request of a place to receive all the sacraments in the traditional forms. Also there are currently TLM masses celebrated in Monterrey, Mexicali, Cuernavaca, Mexico City and Tijuana. I agree with you that the N.O.M. is intrinscially evil, but I suggest that that expression is unfortunate owing to the connotations of 'evil' in English. English is not well equipped for such things, as Latin is. I think that it might be better to say that the N.O. is objectively disordered. 'Evil' simply cannot escape the subjective element in English, and I am sure that some priests mean well in celebrating the N.O., however mistaken or deluded they are. "Also there are currently TLM masses celebrated in Monterrey, Mexicali, Cuernavaca, Mexico City and Tijuana." I know about the Mass at Monterrey. Are those at Mexicali, Cuernavaca, Tijuana, and Mexico City on an every-Sunday basis? Are they approved by local bishops? Where could I find more information about them for my listings and analysis? Could someone explain why exactly the N.O mass said in its most conservative way is considered evil? I am strongly in favour of the latin mass but have trouble with the intrinsically evil theory for the N.O mass . My understanding of it is that the mass has remained the same throughout the centuries but the liturgy has changed. I agree totally that the latin mass manifests the sacrifice unmistakably whereas the N.O doesn't but this still doesn't account for "intrinsically evil" . I read that in war times masses have been offered in prison cells without any liturgy. Would they also be considered evil? Why do these theologians/historians/critics who talk with distance about the "traditionalist problem" or the "traditionalist issue" however they want to phrase it, never ever manage to point out the greatest mystery of all (humanly speaking) namely, the refusal of the Popes to seriously condemn the errors of the post-conciliar era? Until this Pope or a future Pope starts to actually tell right from wrong and make consequences a part of the "dialogue" there is going to be nothing but suspicion on the part of traditionalists. And rightly so, who would want to be under the protection of a man who refuses to use his power to protect? Why is the New Mass an objective liturgical disorder?, asks one blogger. I would say that the New Mass fulfils the four ends of prayer and is a valid Eucharist when celebrated properly. But Mass is also the First Catechism of the Church, and the salvation of souls is the highest law. When judging the changes wrought in the New Mass, one must assess them in terms of their proper context: what were they changes *from*? What strikes me especially is the erasure of references to the Sacrifice of Christ as an unbloody Sacrifice made by Christ of Himself to the Heavenly Father in order to make available to the living and the dead the merits of Christ earned at Calvary. The N.O. alters the references so that they are open to a Protestant misinterpretation, so that all that might be meant is a sacrifice of praise and thanksgiving, or a joining of our own sacrifice of ourselves to the one merely commemorated from Calvary. What is particularly offensive and objectively 'evil' in this regard is the new Offertory and some of the new Eucharistic Prayers, and also removal of the Placeat Tibi at the end of Mass. In fact, the New Mass is open to both a correct interpretation and a heretical one. Obviously, then, the correct one is the one intended by the Church. But it is not adequate merely to make prayers open to the truth; the Church has a strict obligation to *exclude* erroneous interpretations. It is evil (objectively) to make the truth ambiguous, making it possible for souls to be misled, for the salvation of those souls is at stake. The same criticism can be levelled at the document of Vatican II. Vatican II may or may not be in dogmatic error (I leave that to the Sacred Magisterium to decide). But it includes *expressive* error because the fathers approved formulas which are ambiguous in meaning. That is EVIL if done deliberately, even though it might not entail dogmatic error. What is striking about the old Mass and about papal documents prior to the Council is their incredible CLARITY. Everyone knew EXACTLY what they meant. On the very rare occasion of some ambiguity, Rome would issue an instant clarification. We are starting to get back to that. Benedict XVI has clarified the 'subsists in' formula. Unfortunately, that clarification was inadequate. It did exclude some error but not all. So that job is not complete. It is essential to make it entirely univocal that, at Mass, throught the hands of the priest, Jesus Christ offers Himself in Sacrifice to the Heavenly Father to make available the fruits of Redemption wrought at Calvary. This is possible because the Will of Christ is perfect; therefore, He has the same will today and at all times forever which He had at Calvary. That means that he is just as willing to endure the Crucifixion every time--an infinite number of times--as He was 2,000 years ago. To preserve His dignity, the Father does not permit more than one bloody Sacrifice but what counts is the perfect will of Christ. We are judged in accordance with our intentions. The Calvinists think that what appeased the Heavenly Father were the tortures of His Divine Son, but we know better: we know that what pleased the Father was not the tortures but His willingness to endure them. And that SAME willingness is renewed every time Mass is celebrated. There are other problems with the New Mass but they are related to this primary one (except for the removal of references to our Lady). The rubrics and other norms of the New Mass allow for it to be celebrated as a closed exaltation of community or of ourselves. Once *our* sacrifice is central, 'we the people' become the object of veneration, we the Freemasonic people. Our thanksgiving is celebrated; our praise is exalted; our sacrfice of our own troubles is glorified. But what of Christ? What of the unspotted Host? What of the pure Sacrifice, the holy Sacrifice, the all-perfect Sacrifice? Without that, we have nothing, and we might as well join the Protestants, as they decline into smaller and smaller warring sects. For more on how Cranmer's Communion Service on a pathetic dinnertable was the model for the Bugnini Boogie, see Michael Davies's "Cranmer's Godly Order". "John Paul II played an enormous role in promoting Eucharistic devotion.."
That is the greatest overstatement I have heard so far this year. It borders on the delusional. Giving Communion to protestant pro-sodomist Tony Blair; allowing Buddha to be placed on a tabernacle at Assisi; propagating Communion in the hand standing up en masse; encouraging inculturation in the NO service; never disciplining the many priests and bishops who have produced hundreds of thousands of illicit liturgies and numerous invalid NO services......and this is called "promoting eucharistic devotion." Pope John Paul II (RIP) undermined this very cause by his own public demeanour. I wonder what Pope St Pius X and Pope St Pius V would have said about it. I find it astonishing that an expert historian on Catholic Resistance to Vatican II ignores how usual it is for Traditionalists to speak of ecumenism in a broad sense, which includes inter-religious dialogue! Plus, the Vatican II distinction between ecumenism stricto sensu (with Protestant and "Orthodox" sects) and "inter-faith dialogue" (with other false religions) is hardly acceptable for Catholics, since it presupposes the Modernist belief that all Protestants have supernatural Faith, which even if we consider possible exceptions is simply not true, for they are heretics. Professor Perrin's acceptance of this terminology, as if dialogue with Protestant sects were not "inter-faith", I find at least suspect. Moreover, according to Catholic doctrine our "separated brethren" and the partisans of other false religions are both adherents to "sects of perdition" (as they're traditionally called and considered, rather than "means of salvation" as Vatican II would have it, a statement of Unitatis Redintegratio that Mgr Lefebvre didn't hesitate to call heretical). "But to be able to work with Roman theologians on these crucial issues, the SSPX would need some qualified experts and to be able to evaluate the achievements of the Church in the past decades with something more accurate than "John Paul II did nothing to rebuild the Faith" or, speaking of Ecclesia Dei communities, "These poor people (priests, religious, lay people) are liberals and pragmatics" (Bishop Tissier de Mallerais). These conditions are hardly met by the Society today. (L. PERRIN). As if then Fr Tissier de Mallerais had not been the author of the very technical DUBIA ON RELIGIOUS FREEDOM, signed by Mgr Lefebvre and delivered to the CDF. The answer to these Dubia, signed by Ratzinger, was considered by the Archbishop "worse than Assisi"! And ever since then, has Benedict XVI changed one "iota" of his contradiction to what was infallibly defined by Quanta Cura? Plus, there are many recent studies by the Fraternity's theologians that support Mgr Tissier's conclusions, which His Excellency evidently presupposes in his interview. And on the principles and the facts that the FSSPX cites against Ecclesia Dei institutes, the recent Dossier of Le Chardonnet dedicated to the 20 year anniversary of the Archbishop's consecrations is another must-read. "Pope Benedict XVI is strengthening the efforts made by his predecessor to interpret Vatican II "in the light of Tradition", which is exactly what Archbishop Lefebvre was requesting in 1978, after his meeting with the Polish pope." (L. PERRIN). This is a play with words. Both Benedict XVI and John Paul II manufestly interpret "Tradition in light of Vatican II" as well, so this is nothing but a phenomenological "hermeneutic circle" (Heidegger/Gadamer). Which has always been unacceptable to the Archbishop, who constantly reminded that "interpreting Vatican II in light of Tradition" meant rejecting much of it. Further, Mgr Lefebvre also stated in at least one other occasion that such a work as Vatican II inspired by modern philosophy cannot be reinterpreted in a Catholic way at all, and it is to this more sound judgment that Messeigneurs Tissier and Williamson cling to, I believe with reason. About the "experience of Tradition" formula, it is baffling to see how many seem to overllok the obvious fact that this was only an "ad hominem" argument of Monseigneur to Paul VI and the "Conciliar Church". For Tradition is essential to the Church, never an experience among others! regarding how Benedict's nominations of Bishops contradict every hope of his truly favouring Tradition. P.S. to the 20:43 Anon, “What I wrote on the theologian in the Introduction to Christianity might also be useful to the catechist.” (BENEDICT XVI, General Audience, 24 October 2007, http://www.vatican.va/holy_father/benedict_xvi/audiences/2007/documents/hf_ben-xvi_aud_20071024_en.html). Mr. Perkins, yes all of the said masses have due authorization (I am not counting FSSPX or any Sedevacantist mass of which are more) but either public masses celebrated regularly, some daily(Tijuana Mon-Fri), some weekly (Monterrey and Mexicali), there is also a private mass which is celebrated weekly in Mexico City at Our Lady of Guadalupe's Basilica and even a conventual benedictine mass in Cuernavaca. That the "fabricated" NO is "intrinsically evil" is without any doubt. It has unhinged liturgical unity in the western church. This has assisted in producing what Fr Paul Marx OSB called "total chaos in the church". With Focolare, Neo-Cats, Opus Dei, Charismatics, NO of various permutations and the myriad small rapidly secularising ecclesial communities under one roof there is no possible practical hope for unity in the near future. Moreover, it is clearly indicated in the Papal Bull "Quo Primum" of Pope St Pius V that its directives are for all time "in perpetuum" concerning The Roman Rite. It also indicates that to alter any part of this will incur the "wrath of Almighty God". For those who contest otherwise that we are not suffering from such omnipotent anger, they ought to read the Old Testament and those parts of the history of the Chosen People who treated lightly obedience to The Holy Will of God and paid for it dearly - destroyed temples and captivity to pagan idolaters. By drawing parallels with events transpiring today and weighing up the prophecies both ancient and contemporary on this ever-pressing subject no one could ignore that there is at present an insoluble crisis. The liturgy is the key to the long-term solution but the supposed liberty implicated in post-conciliar paradigms to tinker and play with The Roman Rite is playing with proverbial fire. The "vernacular only" liturgy has already been anathematised quite rightly. We can behold globally the destructive effects of the "vernacular only" NO service. It is a tool for ecclesiastical subversion, par excellence. Therefore, the NO service has to be abolished as it is profoundly un-Catholic in its conception and in its daily practice. Its author is also of wholly questionable integrity as are many of the alleged "experts" who surrounded him. The fact the consequent changes and novelties have survived is more testimony to a church that has been overwhelmed by secularising leftist & liberal forces than to any anthropocentric and subsequently divisive movement of The Holy Ghost. On the contrary, this is the liturgy the enemy prefers. You're right on. It's absolutely impossible to say the NO is intrinsically evil. Abp Lefebvre and his followers, by the way, never ever said such a foolishness. You have to be a sede to support this theory because it implies a "pope" had the intent to lead us, faithful, into evil. No pope could do that naturally if we believe in the basics of Church infallibility. So NO has been conceived under mistaken assumptions from the then "experts" and has some mistakes in it - mistakes that should be corrected - but no Catholic can speak of an "intrisically evil NO". A Latin NO using Prex I, i.e. the Roman Canon, and Gregorian chant is coming very close to TLM, though the Extraordinary Form remains better in any case. However one major flaw of the NO is to make possible all sorts of deviant "celebrations" and over 95% of NO masses worldwide are never a Latin NO with Prex I and Gregorian chant. I guess Prof. Perrin, as an academic, is certainly using words with their exact, precise meaning. "Ecumenism" never had any "broad sense, which includes inter-religious dialogue". NEVER. The "broad sense" some mistaken Traditionalits are putting in it is as a matter of fact, an erroneous innovation, a wrong "familiar" way to express themselves. Like bad pupils in a classroom who are mixing up words, dates and concepts. It's a teacher's duty to put some clarity and order when pupils are messing around. Thanks for Dr. Perrin to do his job properly. Moreover you will be surprised to learn that Abp Lefebvre and the Minority Fathers voted "yes" to Unitatis Redintegratio decree of 1964. I bet Abp Lefebvre knew, which seems confused in your mind, the differences between "heresy", "schism" and another religion. Pius IV in 1560 knew the difference between what is today covered by "ecumenism" and what is today the field of "inter-faith dialogue". "n°3 But some are more easily deceived by the outward appearance of good when there is question of fostering unity among all Christians". Fostering unity among all Christians : Pius XI never cites any non-Christian religion in his document. I'm just a layman, but this issue of an intrinsically evil N.O. seems gray to me. I don't think the church could approve an intrinsically evil mass on a worldwide basis, but when one compares the prayers of the N.O. and the TLM one at a time, one can easily see the dilemma - the N.O. seems designed to exult man, the TLM seems designed to humble man, and it shows up right from the start. In the TLM we say the prayers of the ancient psalms at the foot of the alter expressing our humility and desire to be allowed into Heaven. No such prayers are in the N.O. The entourage, including Rome-approved alter girls, just marches right into the sanctuary and the greetings begin. The removal of those prayers and the arrogance of the format replacing them was not an oversight or a deep theologically superior inspiration. No, it is obviously a deliberate redesign of the entire orientation of the mass, and not an improvement at all. Intrinsically evil? Yes, I would conclude that before we get past the first minute of these masses we already have a sacrilege toward God. But then the church can't do that, can they? But they did. Nobody knows how offensive the N.O. is to God, but let's get real - sacrilege is clearly apparent right from the start, and grows from there. The farther I get into the N.O. - when comparing it to the TLM prayer by prayer - the worse it gets. God plays a vague and almost incidental role, while the mass resembles a celebration better described as a party. And who could reform that mass better than the TLM of such venerable authorship? This is arrogance and pride at best, sabotage most likely, and intrinsically evil a distinct possibility. I have in the past enjoyed communicating with Professor Perrin in another forum and I'm happy to see this interview posted here. If I were to summarize what he said without trivializing his words, I might refer to the situation using the term Nero Complex -- i.e., The Emperor Nero fiddles while Rome burns using the analogy of the papacy for Nero and the Church for Rome. However, after seeing this interview I would have to amend the analogy to include also the FSSPX as guilty of the Nero Complex for they have within themselves the ability to reconcile with Rome on all matters that are important - faith and morals. Such reconciliation does not have to be by giving up anything doctrinal or in the "light of Tradition" and they know it. Their continued refusal to submit to the legitimate authority of the Holy Father is inexcusable in my view. John Paul II wrote beautifully on Eucharistic devotion, as has Benedict XVI. Beautiful, yet ultimately EMPTY words, in light of the liturgical abuses that both popes have tolerated in practice. Would you please tell us on this blog which of the other Mexican cities you mention have regularised every-Sunday Masses. I must know! The absolute certainty of some commemnts regarding the "intrinsically evil" N.O mass fascinates me. What people are actually saying is that Lord allowed His Church to approve a mass that offends Him. I'm not talking about abuses or mistranslations; I'm talking about the objective reality of the mass. Lets not forget that Peoples mere opinions have not official judgement from the Church. "John Paul II wrote beautifully on Eucharistic devotion, as has Benedict XVI. Beautiful, yet ultimately EMPTY words.."
This is the black treacle I have referred to elsewhere which is the hallmark of modernist writing. You find therein such wonderfully expressed sentiments but these are inherently only that. Such pure sentimentalism is a trademark of post-conciliar papal writing and public oratory. The lexis, the syntax, the juxtaposition of ideas is quite extraordinary at times if you allow yourself to be beguiled. However, Professor Amerio himself also refered to the post-conciliar penchant of popes to empty words and ideas of their proper sense. Pope John Paul II (RIP) was essentially a phenomenologist who subjectivised concepts beyond their essential meaning so that one is never absolutely certain which part of the consequent ambiguity he signifies, if not both. I have a file filled with such public statements by recent popes in which hide abundant ambiguities and potentially ultra-liberal notions. Professor Amerio was correct. So too are other observers of the same. This is why eulogies on the Eucharist are mere empty sentiments since they are not reinforced with unequivocal Roman Catholic action. "What people are actually saying is that Lord allowed His Church to approve a Mass that offends Him. I'm not talking about abuses or mistranslations; I'm talking about the objective reality of the Mass." (1) Our Lord also makes Himself available to us as the Blessed Sacrament, knowing full well that some of us will receive unworthily, thereby offending Him. He could just as easily have said that those who attempt to receive unworthily do not receive Him at all, since, being omnipotent, He could have withdrawn Himself from those Hosts. He doesn't need a priest to effect transubstantiation! He can create worlds! Instead, St. Paul tells us that those who receieve unworthily "eat their own condemnation". Yes, He allows us to offend Him. If each of us has free will to embrace or reject Him, then it follows logically that every group of us can also do so, even the superior prelates in the Church. Even St. Peter once offended Him at Calvary. (2) This blogger mentions the Mass itself, as opposed to erroneous translations. But erroneous translations are official forms of a licit Mass, approved by legitimate authority for the celebration of the Eucharist. Even though their prototype is the Lain, each approved translation is an approved form of that prototype and therefore a licit Mass. It follows that, if any approved form can offend our Lord, then so can the prototpye; and that, if any approved form can offend our Lord, then the prelates of the Church, those in the seats of Moses, have offended our Lord. The principle of indefectibility arguably assures that every approved form will confect the Eucharist validly and that it can fulfil the four ends of prayer. The New Mass does all of this. But when we say that, owing to defects in some aspects of it, it is "evil" (a poor choice of words owing to its connotative value), meaning 'disordered' of 'defective', we mean that a new form can indeed undermine or detract from the Faith. Even if you look at the Latin alone, the New Mass definitely does detract from the Faith because it replaces clear references of the Sacrifice of our Lord with ambiguous references to any sort of sacrifice, such as a Protestant sacrifice of thanksgiving and praise. Where did this come from? It came from the six Protestant advisors hired by Bugnini to wreckovate the Mass of the Roman Rite. It needs to be fixed NOW. As we are seeing at Lambeth, the Protestants do not have the Faith; they only have false sects. You make a good case for "intrinsically evil". This describes the protestantised anthropocentric ecumenical NO service admirably. Its intention was to "destroy bastions" in The Catholic Church. It has provided a superb conduit for absolute liturgical chaos which is added to each day of the week. It has divided the western church almost completely for a very long time to come, if not definitively. Had the post-conciliar popes been more concerned about the abuses sooner and done something affirmative, this might have limited some of the abuse. However, they chose to do nothing, that is until the entire contemporary liturgical situation has become so anarchic that the subsequent embarrassment it brings graphically over the mass media has enforced some action. It behoves us however, to ensure that such action is not equivalent to further "wreckovation" to which you and others have referred. It is therein some of us detect the sinister intentions of neomodernism. LeonG, Mr. Perkins did not use the words "intrinsically evil," and he refrains from agreeing with you and Brother Alexis that the reformed Roman Rite of the Mass is "intrinsically evil." He said, The principle of indefectibility arguably assures that every approved form will confect the Eucharist validly and that it can fulfil the four ends of prayer. The New Mass does all of this. But when we say that, owing to defects in some aspects of it, it is "evil" (a poor choice of words owing to its connotative value), meaning 'disordered' of 'defective', we mean that a new form can indeed undermine or detract from the Faith. I think it's rather more than a poor choice of words to say that the reformed Mass, due to obvious and infamous liturgical deficiencies, is something that is "intrinsically evil." Something that is intrinsically evil is incapable of ever pleasing God, and if the Church is indefectible then it cannot be that the Magisterium would formally require or encourage the faithful to offer worship that is incapable of pleasing God. There is much about the reformed Mass to be criticised, but condemning it as something utterly and irredeemably antithetical to all that is holy and good (that's what "intrinsically evil" entails) is an extreme position to say the least. The "spirit of the councils" which has been systemically represented in the new Bugnini service is probably the one significant reason over many others for the closures of so many churches, seminaries and convents since the NO liturgy no longer reliably nourishes the Roman Catholic Faith. Why would Our Blessed Lord wish to present Himself in all His beautious graciousness to an assembly where the presbyter has corrupted intentions including the desire to entertain; where women are ignoring St Paul's clear statement on their role in the assembly and on decorum in public worship; where that which is not consecrated touches irreverently that which is; where bishops and priests have disordered public and private lives which impinge upon due respect for the rules and rubrics of what constitutes valid and licit liturgical praxis; where assemblies chatter profanely, dress like beach party-goers and rarely if ever go to the Sacrament of Confession but take the "host" no matter what and where most of these who are married practice artificial birth control and even abortion quite freely "according to their consciences" continuing as though this is normal. In the meanwhile, their presbyters and bishops say nothing and teach nothing but compromise and subtle falsehoods. The list could easily be extended further. The essential disobedience amongst the hierarchy and the laity expressed vividly in the "vernacular only" liturgy contains all the seeds necessary for destroying The Roman Catholic Faith. Objectively speaking, it can be demonstrated that since the 1960s and the era of novel liturgical and doctrinal emphases, the church has become weighted down in an extended period of disunity, division and confusion or "auto-destruction" that has undone everything achieved up to that time when Pope John XXIII (RIP) claimed a robust healthy church should stop condemning and be open to the world. The new liturgy has certainly assisted in this task very well. It has totally destabilised what constitutes normal Roman Catholic liturgy and it has unhinged a libertarianism in un-Catholic behaviour both within and without the church. Thanks be to God that some very courageous and dedicated normal Roman Catholics were vigilant enough to apprehend total destruction by defending The Latin Mass of All Times with no stint. This is a remarkable divine signal of the guarantee given through Pope St Pius V and the Trent Councils of what Our Blessed Saviour described as THE Church that would resist the gates of Hell. Anyone who seriously believes that this period of liturgical anarchy is over has a considerable lesson to learn ahead. In many respects it has only just begun. The more The Holy Mass is tinkered with the greater will be the disorientation. Better it is to desist from this sinister trend. The Tridentine era has done almost all the work that is required practically speaking. It is now the duty and responsibility of The Church to educate appropriate liturgical attitudes. If ever there had been an area for modification in immediate pre-conciliar times, this was the one crying out for attention: not the wholesale fabrication of a new "vernacular only" rite. My Irish priestly instructor as an altar-server was completely right when he told me when I began learning this wonderful profession that at this Holy Mass I was kneeling at the very gates of Heaven. "We must guard against any temptation to view doctrine as divisive and hence an impediment to the seemingly more pressing and immediate task of improving the world in which we live." Pope Benedict XVI is the speaker of those lines. They are a hallmark of post-conciliar ambiguity. In context, the pope is saying that doctrinal discussion is the core of ecumenical dialogue and should not be avoided due to the "perception" (on the part of others, not the pope) that doctrine divides, thus impeding the "seemingly" (in the view of others, not the pope) more important works of social justice. I have seen traditionalists roundly chided by neo-cons and moderate trads in recent weeks for misreading the pope's intention, viz., that he thinks that social justice is more important than doctrine. Well, of course, he doesn't think any such thing, yet what the neo-cons fail to see is the more fundamental problem, which is that the Holy Father sees doctrine as a question of "dialogue" in the first place. Well, of course, he doesn't think any such thing, yet what the neo-cons fail to see is the more fundamental problem, which is that the Holy Father sees doctrine as a question of "dialogue" in the first place. It’s not a problem at all, since the Holy Father upholds the proper purpose of doctrinal dialogue: clarifying Catholic teachings for the sake of non-Catholics, helping Catholics understand the beliefs of non-Catholics to further cooperation where possible and to avoid or defuse hostility, and removing misunderstandings in order to remove unnecessary obstacles that impede the progress of non-Catholics towards conversion and acceptance of the Catholic faith. Where “dialogue” does not have conversion as its aim, it is pointless, even counterproductive. It has become customary to note an alarming gulf between what the hierarchy say and what they do in public. Their actions betray their manner of thought. What point is a eulogy on the Eucharist when the false Buddha idol is scandalously permitted to sit above the tabernacle in what was normally a Catholic holy place? What good does preaching a perspective on catholicism do when the behaviour is essentially syncretistic? How can a pope "dialogue" the Catholic Faith in one breath and permit himself to be seen publicly endorsing illicit liturgical demeanour on a world platform in another? What purpose does it serve to tell Catholic women no priesthood and then to be taking a limelighted place next to Lutheran women pastors for the whole world to see? 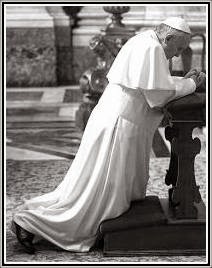 What earthly use is it for popes to decree Communion in the hand when in the next breath we witness them publicly disobey themselves, as the last 3 out of 4 popes have done against the long established ecclesiastical tradition of priestly hands only? Naturally, confiteor, you can see the nonsensical nature of hierarchical behaviour which is completely in accord with the current tone of liberalist modernist ecumenical and inter-religious "dialogue". It is equivalent to an admission that while Our Blessed Lord is the only way to The Father, anyone can still arrive by other means. Jesus is The Way, The Truth and The Light [and so is the "good" in all other religions]. The talk comes from both sides of the mouth. It is all summed up perfectly in the recent picture of the pope being "annointed" on the forehead by an aboriginal witch-doctor type, just as his predeccesor by Hindu female shaman, into some animistic rite of passage. Neo-paganism is the order of the day in a media spectacle that glorifies religious pluralism and indifferentism simultaneously. It is a "dialogue" of the deaf and a vision of the blind. The major problem for the neo-traditionalist is that whenever he sees a dalmatic or a maniple he confuses the reality for the symbol. The former is that we live in the era of the pluralistic post-conciliar modern church that is becoming adept at exploiting religious sentiment which it thrives on while it continues to synthesise mostly the novel and the modern with an evocative smattering of the ancient. And we have yet to witness the current supreme pontiff say one public Holy Sacrifice of The Mass in "Latin only". We have had rumours aplenty. What was normal and essential for Holy Fathers to do prior to the 1960s has become long forgotten. There is the reality! Yes it is a problem, as the phrase, subsists in, shows. There was a solid understanding that Catholicism is Christianity. Then dialogue broke out, we had a novel idea foisted on us, it has been used as could be expected against Catholic doctrine, and we had to wait umpteen years for a weak and confusing attempt to reconcile it with the original doctrine. And the heretical interpretation, the one that first appeals to most intellects, still lives a healthy life. This was a mistake, and no honest mistake at that. Souls were and are being hurt by the confusion. It was the evil one playing those who would do his will against the intellectual pride of those like Cardinal Ratzinger, and the evil one won many souls due to an official church pronouncement. Like the N.O. mass, it would be a better disciplinary approach to just denounce the whole thing than to try and tinker out the flaws. "....for popes to decree Communion in the hand when in...."
should read, "...for popes to decree against communion in the hand...."
This was what one might call, a slip of the tongue.